We are a cosy, village pub/restaurant. 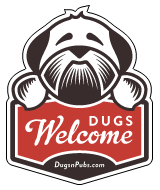 We welcome dogs at all times and you are welcome to bring your dog in with you for a meal. We politely ask that dogs are cleanish and well behaved. There are a total of 67 dog friendly listings in the South Wales Pubs category. Please log in, or sign up as a member to view all listings.